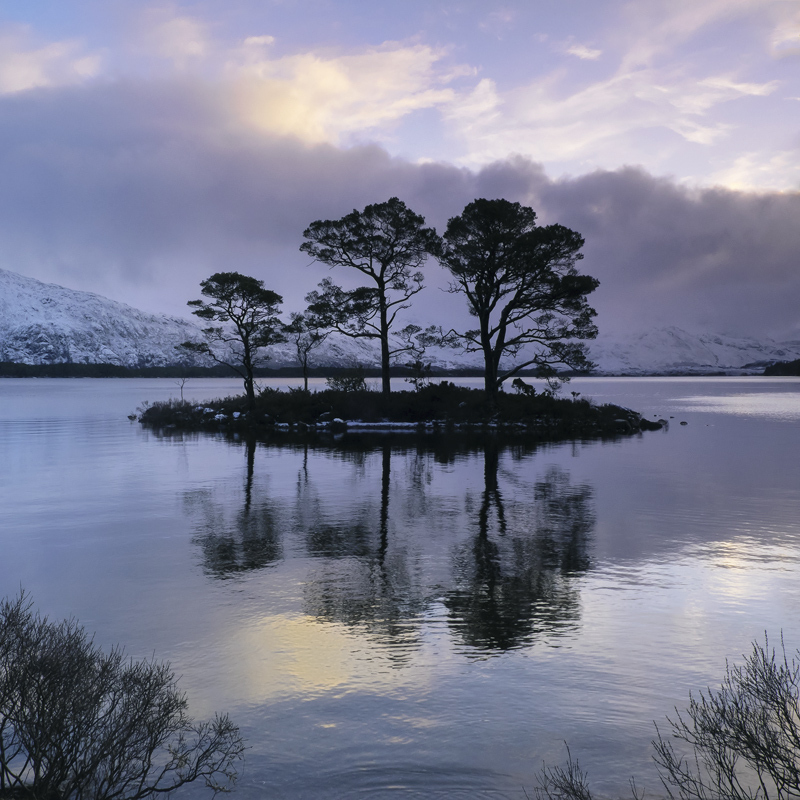 The island pines at Slattadale are perfectly positioned against the lofty Torridon mountain of Slioch some what subdued at present below winter snow clouds. Keeping the horizon high ensured that the island silhouetted against the backdrop retains its island appearance. I waited for a pleasing cloud pattern to be reflected in the rippled water of the loch.